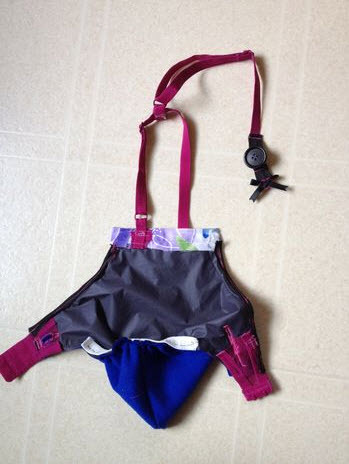 Use a bra to make a diaper for your goose! Measure your goose. Draw the shape for the diaper on a piece of newspaper, cut out the shape, then use the paper template to cut the shape out of a piece of fabric and a waterproof liner. Sew the sides of the diaper area together, then sew an elastic band along the top edge of the back of the diaper area. Sew bra claps onto either of the side straps, and sew bra straps to the front edge of the diaper. Cut a button hole out of the diaper side straps, and sew a button on the base of the bra straps.